Navigating this landscape of tools can be a daunting task, but creating an efficient, integrated and concise "martech" stack is vital for a successful marketing department. "We can overcomplicate marketing," said Maria Pergolino, senior vice president of marketing, sales development for Apttus Corp., a quote-to-cash software provider based in San Mateo, Calif. Pergolino spoke at the SiriusDecisions Summit here this week about how she built her martech stack. "If your tools aren't helping with content, contacts, channels or customers, then you probably don't need [them]." One beneficial method, Pergolino said, is to first research and invest in the three foundational tools for marketers: customer relationship management (CRM), marketing automation and a content management system. "Everyone should have a good idea [of] their CRM [capabilities], their automation system and where their website is, and you can base a lot of the other decisions off this," she said. "If you're inheriting a [martech] stack, these are the hardest products to change." Once the foundation is laid, marketers can begin looking at tools that solve problems or create efficiencies unique to their business and fill gaps in the marketing process. Too many tools can lead to wasted spending. It can also cause frustration in the team, because they're trying to do too much. It's better to do a few things well. "You always want to look at the new and shiny," Pergolino said. "But if I'm choosing across a landscape of 5,000 vendors, I'm looking for the ones that automate the process and help with my goals." And with thousands of options, it could be tempting to add dozens of different tools to try to get the most out of what's available. But there is some give-and-take required when adding tool on top of tool. In addition to concerns regarding costs, too many tools in a martech stack can bog down the marketing process, cause integration issues and create irritated employees who don't know which tools are preferred. Sometimes, less is more. The other important aspect when building the martech stack is to be sure the applications have the APIs necessary to access the information you'll need. 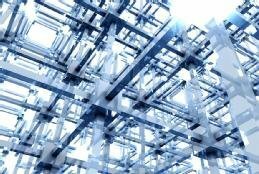 While getting your foundational tools in place and filling gaps with other applications are important steps to building your martech stack, it's important to keep that environment up to date with the latest technology advancements -- including artificial intelligence (AI) and account-based marketing. "These trends aren't going away. So, as a marketer, you can't just skip it," Pergolino said. "So, why not invest some time and stay on top of it and have a plan?" AI, for example, has been a buzzword in marketing for years, but the technology has matured enough to be beneficial and has made its way into a number of marketing platforms. Buying products under the same umbrella as one of your core offerings may seem wasteful, but integrations could be lacking even with products built into brand-name CRM platforms, and you could be disregarding other tools on the market that would cater to your needs more effectively, Pergolino said. In saying this, Apttus made a case for Salesforce users to consider its quote-to-cash automation tool, a technology also known as configure-price-quote, or CPQ. A longtime partner of Salesforce until Salesforce purchased CPQ rival SteelBrick in early 2016, Apttus still has an integrated offering on Salesforce and competes directly with Salesforce's own offering. While it would be helpful for those starting from the ground up to know what the ideal number is or types of tools to have in the martech stack, what's needed depends on the industry, company size and business objectives. The main point: Build slowly, and don't waste budget on unneeded software and services. "Too many tools can lead to wasted spending," Pergolino said. "It can also cause frustration in the team, because they're trying to do too much. It's better to do a few things well." As the growth in marketing tools has been exponential over the past seven years, according to chiefmartec.com, which has tracked the growth of tools since 2011, users and decision-makers will still need to keep their head on a swivel as the market continues to grow in future years -- making it even more important to keep a clean, concise and efficient martech stack. TechTarget offers ABM and project intelligence data and tools services. How do you choose the right tools for your martech stack? Start with strategy, then define as you go. Some will be must needs, like a CMS or CRM. Any "additional" software in your stack must contribute directly to achieving goals set forth in the strategy you've laid out.